The largest network of STEM schools in the country, Harmony Public Schools, is a pathway to college for youth from low income families–especially if they are interested in careers in science, technology, engineering and math (STEM). Founded by Dr. Soner Tarim, a Texas A&M trained biologist and ecologist, Harmony is headquartered in Houston and currently has 46 schools in Texas and one in Washington D.C. Following are eleven important elements of the Harmony school model that can inform a shift to Learner-Centered STEM in your school or district. During my visit, I observed six science experiments and in each case the team could not only describe the science at work but the history behind it. The young ladies below explained how Gallium replaced Mercury in thermometers after health effects were identified. Across Harmony Schools, integration is deliberate but not forced—increasing relevance and boosting engagement. The scientific method and inquiry-based learning are applied to lessons in ELA and Social Studies. Lessons and projects are required to connect across the curriculum. A big part of making this work is building an interdisciplinary culture that balances a goal-orientation which encourages student autonomy and an open-minded approach to learning. This requires teacher flexibility, while simultaneously holding students accountable–no matter what path they take to reach their learning goals. Harmony schools are small (about 100 students per grade) and diverse, serving a high percentage of low income students. Students thrive in an environment that offers individual student supports and maintains and overall culture that prioritizes social-emotional learning. Students receive academic support in and out of class, including access to each core teacher who holds open “office hours” for dedicated PBL advisory to support student progression and mastery. Small groups of students meet with an advisor for about 30 minutes daily resulting in strong sustained relationships. Collaboration among students is also highly-encouraged. Struggling students and those new to English take a reading intervention class in addition to English Language Arts. Tutoring is available before and after school and on Saturday mornings. A character education class in middle grades reinforces behavioral norms. The Second Step curriculum supports communication, coping and decision-making skills that help them make good choices and avoid pitfalls, such as peer pressure, substance abuse and bullying. All Harmony students put values into action by engaging in service learning. Some Harmony schools serve a high percentage of students with special needs. Parents and students appreciate the safe supportive environment where every student has a personalized plan. Harmony secondary students receive a Chromebook to power blended learning. Math students use ALEKS adaptive software and Study Island for ELA skills practice. Students create and collaborate using Google Drive. They use tools like iMovie for creating video presentations. They build digital publications and websites and create interactive brochures with QR codes. Adaptive assessment from NWEA are used to develop dynamic groups based on student learning needs, and common benchmark assessments across the network offer another set of data points to inform instruction. Students are also taught digital citizenship and 21st century skills through authentic engagement with social media as a powerful medium for connecting with one another and the world. An online search for “Harmony STEM” will lead you to project pages on Facebook, around 50,000 student-created YouTube “trailers” for their PBL projects. Harmony calls this the “Share and Shine” approach to PBL, noting that “the more they share, the deeper they engage in STEM and become natural STEM advocations. All the attention and gratitude they get from the audience is just part of the bonus!” Technology is a also key part of demonstrations during participation in STEM festivals and expos. STEM SOS is a rigorous, interdisciplinary, standards-focused and engaging teaching approach that is teacher-facilitated, student-centered and project-based. The Harmony approach maintains a focus on standards-based teaching while enriching and extending the learning through projects to promote collaboration and agency. Developed to align with Gold Standard PBL essential design elements from Buck Institute for Education, the Harmony approach to project-based learning (PBL) includes three levels. All students must complete four Level I projects a year in middle schools and high school, and high school students must also complete one Level II or Level III project each year. Level I: short term projects target 21st century skills within the context of the curriculum. Level II: long term interdisciplinary projects connecting STEM curriculum to the humanities through rich, meaningful, and rigorous cross- disciplinary and multi-sensory projects that allow the application and development of critical 21st century skills. Level III: student driven projects, either individual or team, usually supported by a mentor or sponsor from the community. Level III projects include advanced research projects such as science fairs, advanced STEM challenges such as science Olympiad, rocketry and maker and robotics projects. Students work with teachers to design a project plan using a rubric. 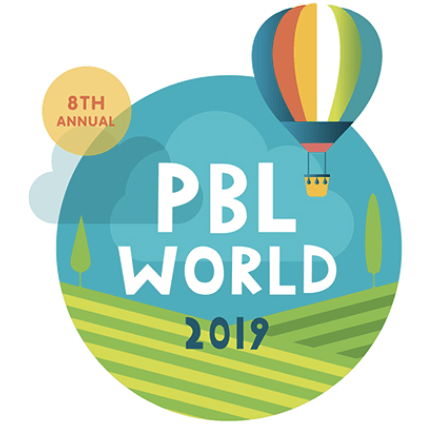 The online Harmony PBL Showcase is designed to promote and share exemplary student work that can serve as valuable learning and teaching tools for students, parents, teachers and other educators. Three project infographics of the hundreds currently available online are shown below. Harmony students graduate with college credit and at least one college acceptance letter. College planning starts in 8th grade and is informed by more than six college visits in high school. An 11th grade English class focuses on essay development. Counselors and advisors help with college and scholarship applications. Mature high schools offer two dozen Advanced Placement (AP) courses. Dual enrollment partnerships are growing around the network with local community colleges such as Houston Community College, LoneStar College, Austin Community College, Redland Community College, El Paso Community College, UTPB, Lamar University and more. The popular Project Lead The Way program also offers dual credit at many Harmony campuses. Harmony’s positive, collaborative culture benefits teachers as well as students. The teacher’s primary role is that of a facilitator. Teachers share expertise with one another to design interdisciplinary projects. Space is created for teachers to communicate and collaborate regularly. They work closely with one another and in collaboration with students–often building their own expertise and facility with 21st century skills right alongside their students. Teachers offer engaging demonstrations to kick-off lessons, and many use models like “flipped classroom” to maximize in-class time for application and extension activities. Harmony is committed to authentic and job-embedded professional learning opportunities for its staff. Harmony teachers are taken through their own project-based learning experiences to assume the roles of their students. “Train the trainer” and “lead teacher” models rely on expert Harmony staff for coaching and mentoring, rather than outsourcing PD. This approach leverages teacher leadership, builds ongoing capacity and makes the model more sustainable overall. Instructional coaches frequently visit campuses for mentoring support, conducting observations, co-planning, co-teaching, reviewing lesson plans, modeling best practices and leading Professional Learning Communities. Harmony relies heavily on recruiting new teachers and training them in the Harmony approach to project-based STEM. Their GYOT (“Grow Your Own Teacher”) Program offers scholarship funds to Harmony alumni if they enter a college of education, as well as a job offer at a Harmony School upon completion. Harmony students are placed in the city of their choice with the promise of at least a two year commitment to staying in the position. Learning at Harmony looks different from most schools that families attended when they were students, so parent communication is a priority. Teachers and leaders help parents and students understand the benefits of learner-centered education and project-based learning. By visiting students and their families at home, Harmony teachers help build strong communication and a caring classroom. Teachers talk about student progress, programs and planning; parents provide priceless feedback and input; and students improve both academically and socially. Harmony schools thoughtfully leverage the numerous STEM business and industry opportunities in their home state of Texas to engage students with experts and real-world applications.Partnerships with the community, business and industry and higher education institutions provide materials, advisors and access to the world. Harmony students participate in internship and externship activities and work-based learning experiences. School heads also have the flexibility to create local partnerships and pilot new strategies. This video of Houston students working directly with a NASA mentor at Johnson Space Center for a rocketry challenge (for a Level III PBL project) provides just one of many examples. From its origins, Dr. Tarim sought to transform the way students, especially minority students, engage with math and science. Additionally, the mission is to mold responsive, productive and civic-minded individuals. Harmony schools share curriculum, platform, and professional development strategies. The network has proven adept at leveraging supportive grant programs. Soner assembled a talented team that, over the last 15 years, has incorporated all of the important sector advancements into a Harmony school model that propels youth into post-secondary opportunities–prepared to succeed in STEM fields and more. Learn more about Harmony’s STEM SOS Model in the book “A Practice-Based Model of STEM Teaching: STEM STudents on the Stage” and at STEMSOS.org.